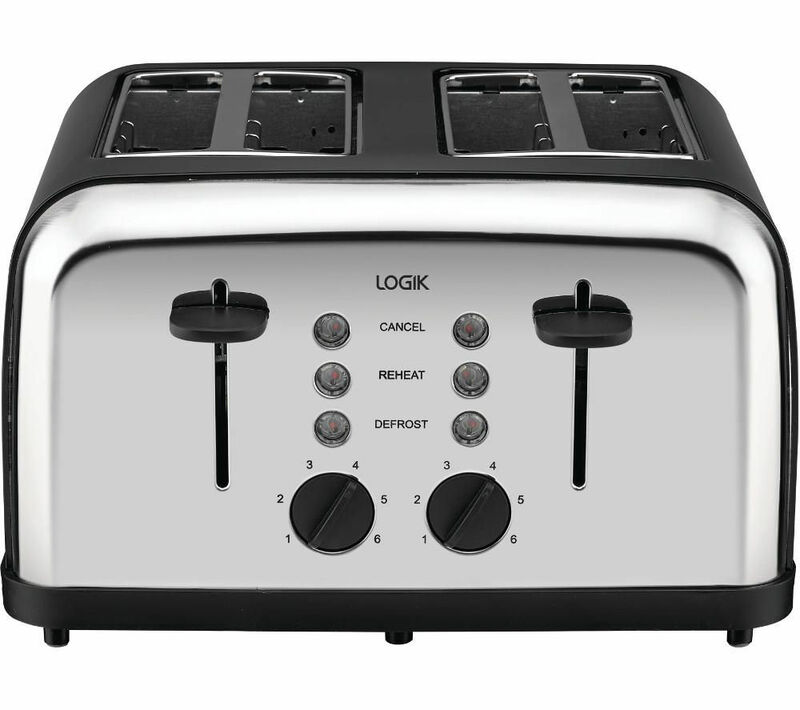 Start your day off with the Logik L04TBK14 4-Slice Toaster for delicious toast for all the family. Functional and stylish, this affordable 4-slice toaster offers a range of simple features that make it easy to enjoy your toast just the way you like it. Designed with extra wide slots, the L04TBK14 can accommodate even the heartiest of farmhouse loaf slices. An adjustable browning feature lets you specify exactly how you like you toast, while a cancel function allows you to stop the cycle mid-way to prevent accidental burning. 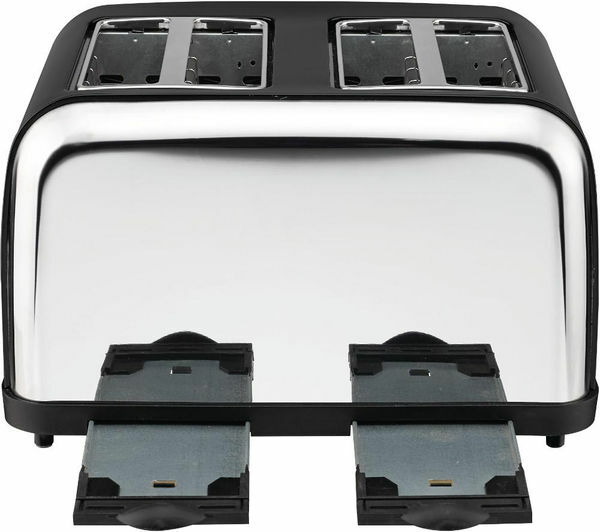 Hugely practical, a removable crumb tray is incorporated into the toaster and makes maintaining and cleaning the device simple. Helping to keep your kitchen co-ordinated, this toaster has also been designed to compliment other kitchen devices in the Logik range. 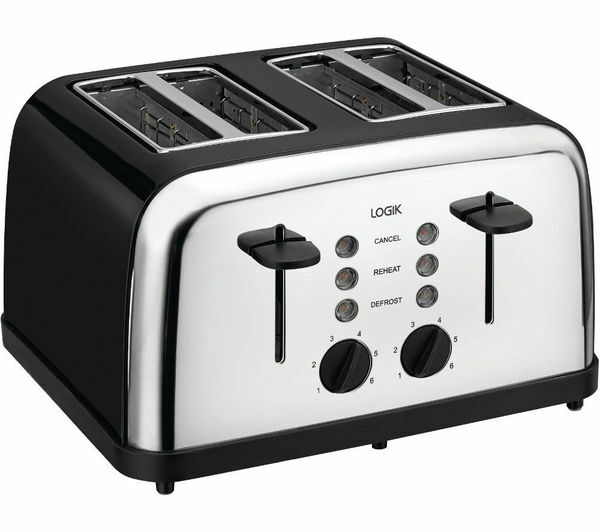 Enjoy a tasty and simpler breakfast time with the silver & black Logik L04TBK14 4-Slice Toaster.